The Royal Institute of British Architects (RIBA) is delighted to announce the launch of a new design competition for transforming the unoccupied Curtis Green Metropolitan Police Service (MPS) building. The competition is launched on behalf of the Mayor’s Office for Policing and Crime (MOPAC) and Metropolitan Police Service (MPS) to create a new central London HQ – replacing their existing New Scotland Yard building. 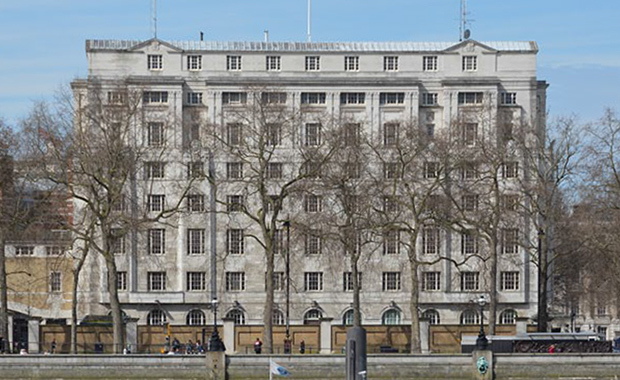 This competition provides architects/practices with the opportunity to produce a design for the renovation of this landmark in one of London’s most important and historic areas – to provide a modern, flexible and secure office environment for the MPS. Expressions of interest (EOI) are sought from architects/practices worldwide, following which up to five architects/practices will be invited to develop concept designs for the project. Each of the short-listed architects/practices will receive an honorarium payment of £6,000 (+VAT) and be invited to present their proposals to a Judging Panel at a final assessment. Further details can be found in the competition brief, available through the official website.